In this how-to section, you will update to the latest pre-built Linux image provided by Toradex. 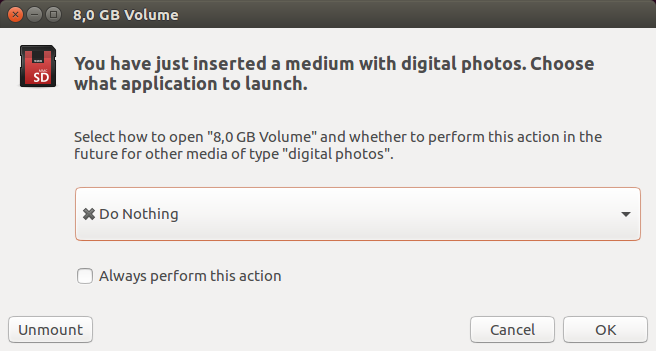 Use an SD card to flash the new image to the module. 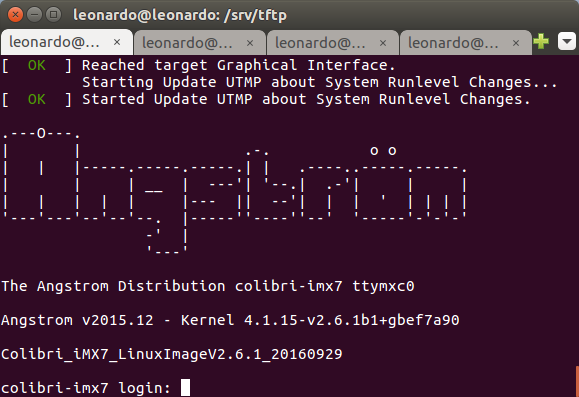 Flash a new Linux image to the module. Note: The following steps are meant to be run in the development workstation, and not on the target module, unless otherwise stated. Notice that there are two hard-disks: /dev/sda and /dev/sdb. The indexes list different partitions inside the disks and can be ignored. Notice that some SD cards have a physical lock that enables read-only mode, therefore you have to make sure this lock is not enabled. If the lock is enabled, further steps from this how-to section will not work. 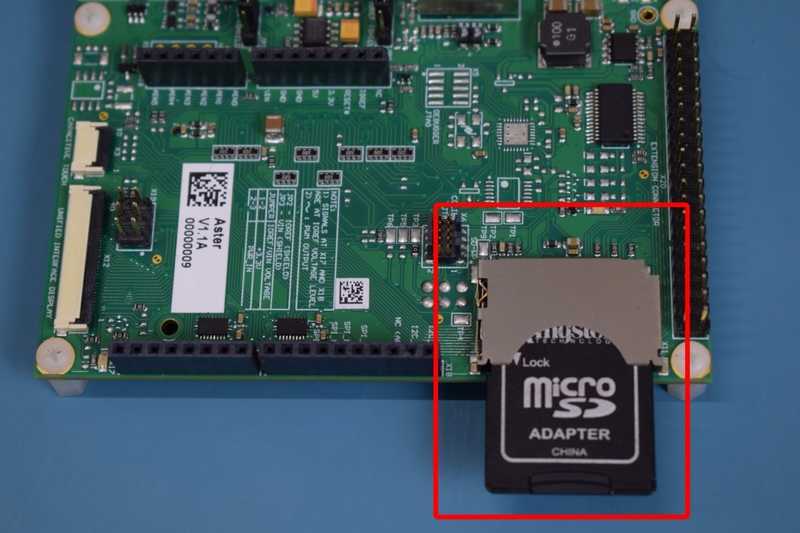 Notice that there is a new device, /dev/mmcblk0, and this is the SD card. Attention: Proceed carefully through the next steps. If you use the wrong device, you will erase the computer hard-disk and permanently lose data. Warning: If you do not pass the SD card as an argument to gparted, all your drives will be listed and, therefore, you are more prone to formatting your machine's HD. 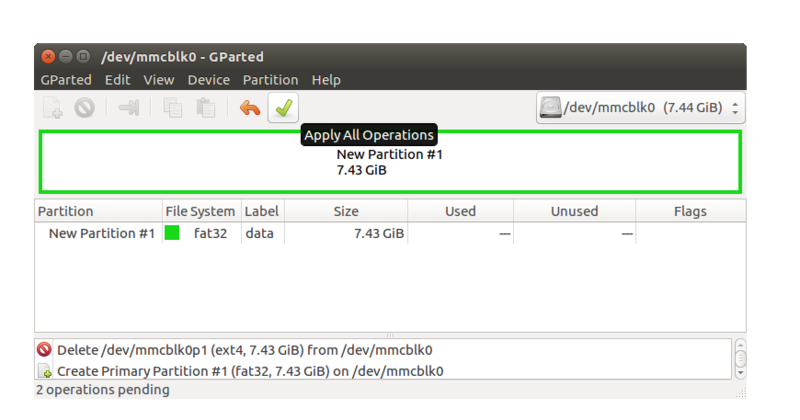 Also create a label for your partition, such as data. 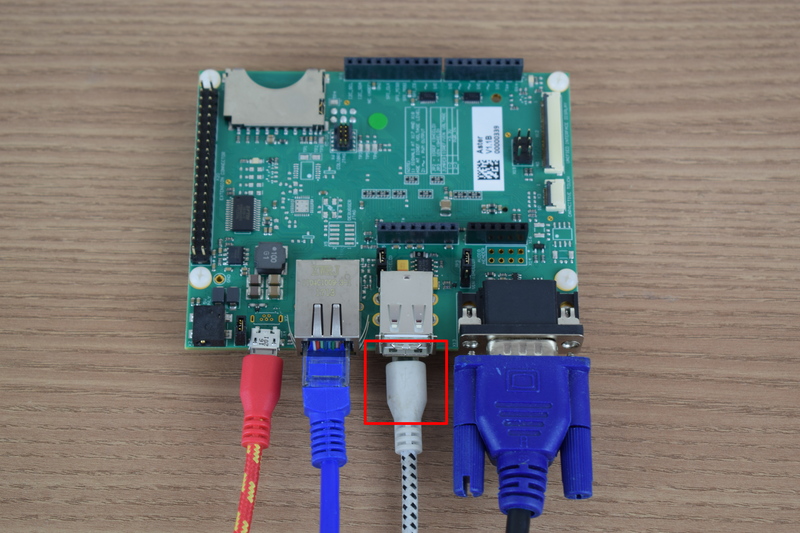 This is not mandatory, but when the system automatically mounts the SD card, it will use this label as the name of the directory where the device will be mounted. In the end, you must have a Gparted window such as the one below. You can then close Gparted. Mount the SD card. 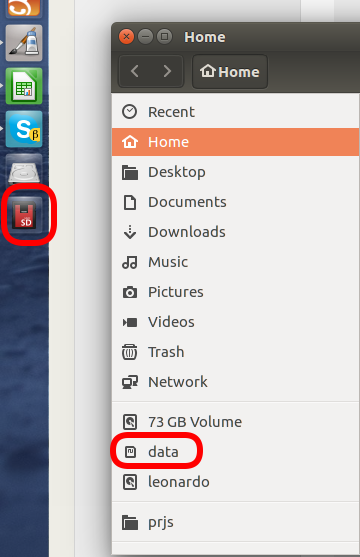 Two easy ways of doing it are: - Either to click the SD card icon in the launcher to the left of the screen, or - Open the files manager and click the SD card partition label listed at the left side of the window. 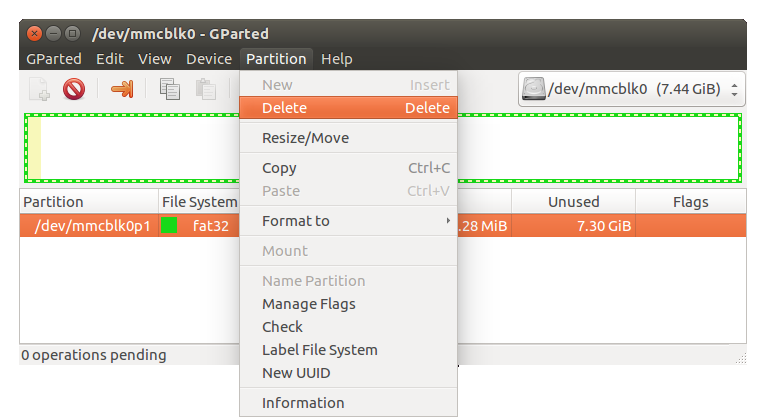 Where user is the user you are logged in, and partition_label is the label chosen at step 10, or a random alphanumeric value if the label was left blank. Download the pre-built Linux image. Find the latest Toradex pre-built image for your module here. Note: You must execute as root to preserve the target root filesystem permissions. Make sure that you have a working serial terminal application on your host machine. Note: You can go back to the last section if there are any doubts regarding the serial terminal application and its configuration. 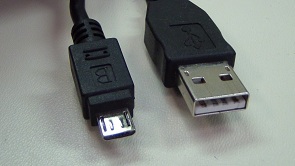 Plug the USB A to micro B cable cable into the USB Client Connector (x10) to enter the recovery mode. Note: If you press the SPACE key too late, the system will start booting. Power-off and try again.